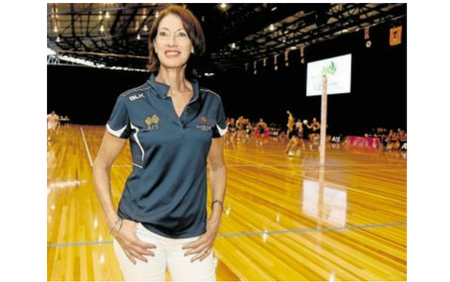 Anne Sargeant is synonymous with Australian Netball. Former Australian Captain, national selector for the Australian Diamonds, commentator, and legend (Don’t take our word for it: it says so in the Sport Australia Hall of Fame). Anne is the Director at the Anne Sargeant Chemist Warehouse Netball Clinics. Open, communicative, instructive. I focus on technique and timing but always try to introduce players to “Gamesense” and problem solving, I hope I give very specific instructions. I also hope my players learn to adapt, think on their feet, and read the play. I strive to replicate pressure situations so that players train at performance level. I like sessions to have purpose but also have a fun element. I love to give young players to chance to sparkle! It’s your turn to pick a book for Book Club. What would you choose? My school girls rep coach called me a flamingo, something to do with long legs and elegance but I wouldn’t mind being our Bengal cat…very athletic, very beautiful and utterly spoiled. What is your secret tip for aspiring netballers? Train as hard as you play when competing, love the game, play for your team. Ask questions and engage with your coach, always watch / observe a level of play higher than yourself, dare to dream, expose yourself to as many learning environments as you can.